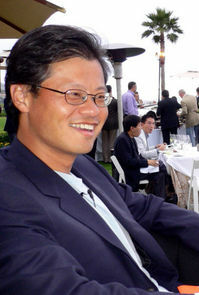 Following intense pressure from shareholders, the board, and every technology blogger in the world, Yahoo CEO Jerry Yang has decided to step down from his post at the top of the ailing internet giant. It's a shame, as the moves that he's been pushing over the last couple of years show a lot of a promise in terms of getting the company back on its feet. Unfortunately, however, once Google withdrew its advertising deal in fear of regulatory hell, Yahoo! was left high and dry, pleading with Microsoft to buy it at a price way below the price point that Microsoft were offering and Yahoo! rejected earlier in the year. Most people pinned the blame for that failure to secure financial security for the company on Yang.